A non-denominational monthly Welsh-language periodical with articles on religion, literature and education. 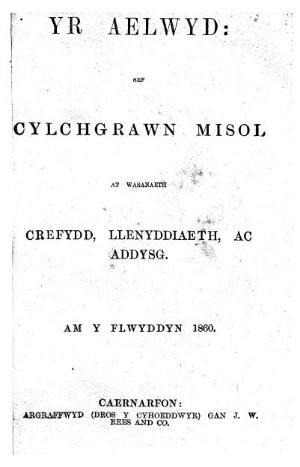 The periodical was edited by John Davies (Gwyneddon, 1832-1904), Caernarfon. Associated titles: Charles o'r Bala (1859). Publisher Details: J. W. Rees & Co.